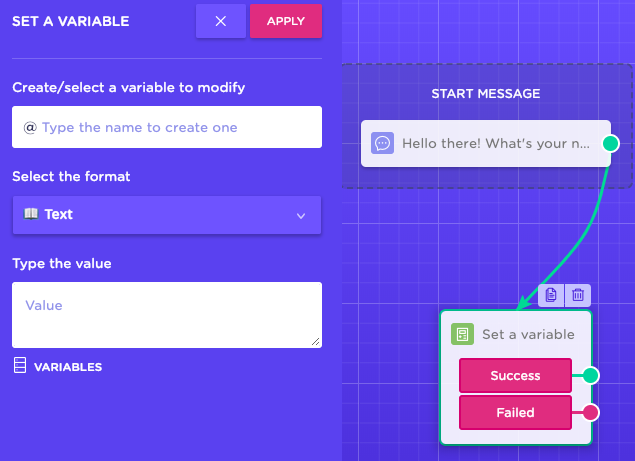 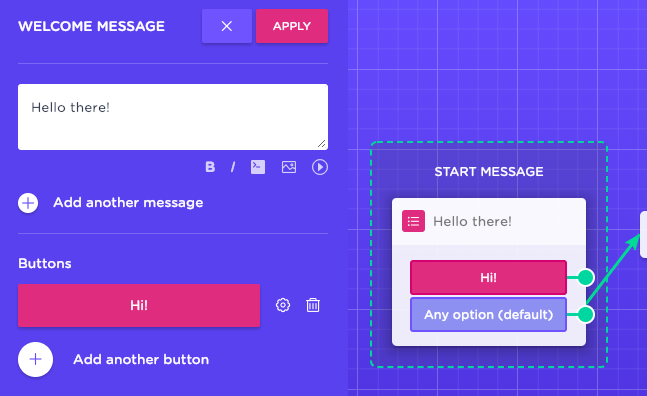 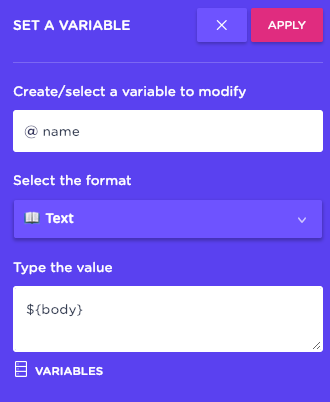 Sometimes, we don't want to start a conversation with buttons, we want to offer the user to start the conversation with a text input, and a way to store this first input for useful reasons afterwards. 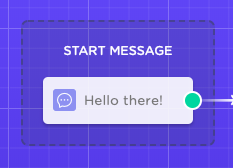 As you may know the start message block, by default offers you a range of options, and a button that the user clicks. 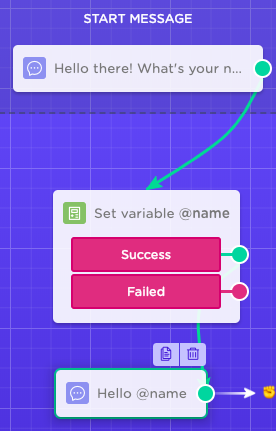 What we are going to do, is to just ask for a name and store it in a Landbot variable called "@name"
Here to collect the value from the first name, and assign it to the @name variable.